Have you ever wondered why Jesus said it would be better for His followers if He left and sent the Holy Spirit (John 16:7)? When I first read that verse, I was taken aback. Like Thomas in John 20, many of us would much rather have a physical human being that we can touch and see than an unseen Spirit that, like the wind, “blows where it wishes, and you hear its sound, but you do not know where it comes from or where it goes” (John 3:8). Often as Christians, we feel disconnected from God. We look at God speaking to His people in the Old Testament, Jesus teaching the disciples in the Gospels, and the Holy Spirit moving mightily in Acts, but we have a hard time connecting that with our lives today. This difficulty that even seasoned Christians have relating to God the Holy Spirit has led to Him being referred to as “the forgotten God” (to borrow Francis Chan’s term). In his book Jesus Continued…: Why the Spirit Inside You is Better Than Jesus Beside You, J.D. Greear wants to help Christians personally relate to God through the Holy Spirit. Today is Reformation Day, the day we remember Martin Luther’s famous act of nailing his 95 Theses to the door of The Church of All Saints, sparking the Protestant Reformation. Luther is far from the only famous theologian to come out of Germany. 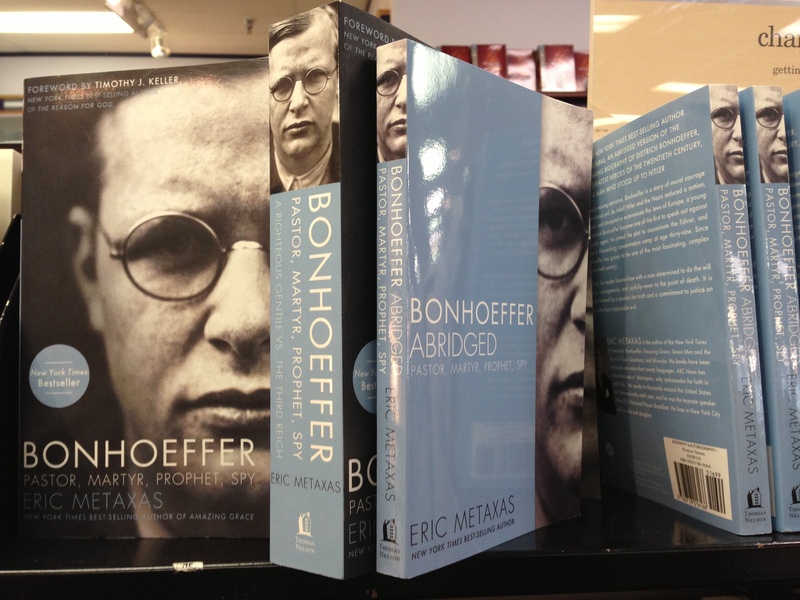 In his recent book Bonhoeffer Abridged: Pastor, Martyr, Prophet, Spy, Eric Metaxas tells the story of another German theologian who made a significant contribution to the universal church. Dietrich Bonhoeffer is a fascinating individual who lived during a challenging period of German history. Born in 1906, he was coming of age as World War I was wrapping up. Bonhoeffer had an intimate view of the political and social unrest that followed due to his family’s prominence and connections. It was during this time that he developed a passion for theology, thanks to his mother’s influence, and began pursuing pastoral ministry.